We specialize in Hematology and Oncology clinical research. Oncology clinical trials are more complex, and longer than those in other therapeutic areas. This fact demands unique and adaptive approaches to clinical research services. For future oncology trials to be successful, it is likely that a diagnostic allowing measurability of efficacy will be required. PSNResearch believes that identifying biomarkers for the purpose of determining clinical endpoints, as early in the clinical process as possible, will be key to good Phase II and Phase III protocol design. Furthermore, patient enrollment in oncology trials is increasingly an impediment to clinical trial success and confirmatory outcomes. 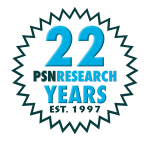 PSNRsearch has built its success on a very good enrollment track record and a commitment to excellence in clinical operations. We know the intricacies of oncology clinical research, and we know the science of blood-borne disease.